Your home is the place where you make the rules. And we know that you give just as much importance to the quality of the food you serve to the time you spend with your family. Consequently, we are working to bring everyone's favourite products to your table so that you can control how much time you spend with your loved ones. That's the secret - a family secret. All good things come to those who wait. At Palacios we follow a 100% natural and meticulous cold meat preparation process where tradition plays an important role. Naturally. The youngest members of the family rule the roost. 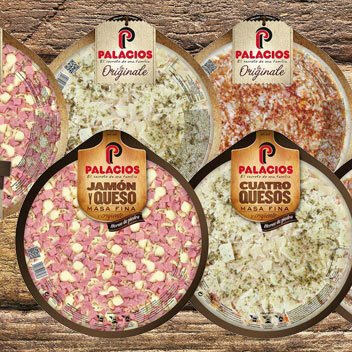 And at Palacios we help you to keep them happy with the food they like best providing them with the best nourishment. Discover the refrigerated pizza revolution: a wide variety using high quality raw materials, intense flavours and a crisp stone cooked crust. Day by day offering you format and innovation solutions for you to enjoy with your nearest and dearest. 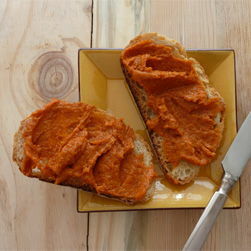 Palacios launches a new chorizo creams, to enjoy traditional chorizo in a different way. "Curing takes place all in good time"